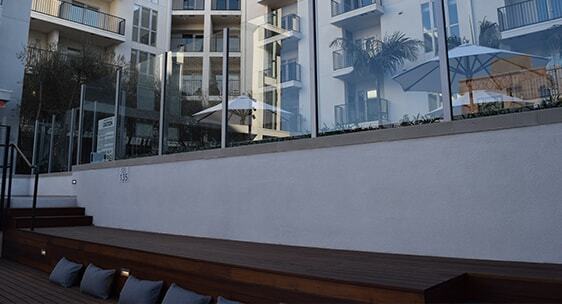 The Fifty Five Fifty is a new boutique-style apartment community in Hollywood, CA. 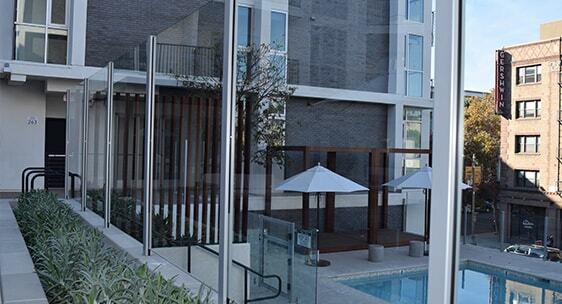 A variety of Aquaview products were used to create a custom fencing system for the multi-level courtyard. 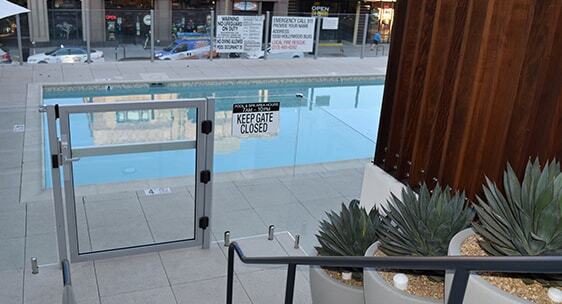 The result is a sleek, contemporary enclosure that meets both guardrail and pool safety code, while maintaining panoramic city views. 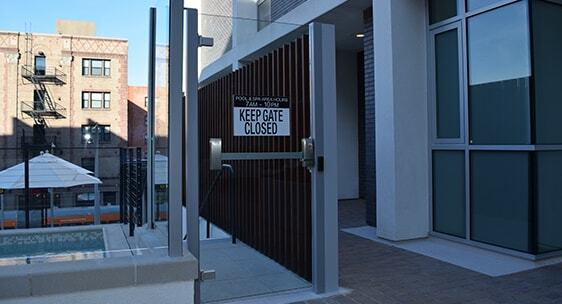 This project included three of our deluxe commercial gates, and a custom 7ft tall frameless gate with panic bar system.